An assortment of brass-plated connector bolts, connector nuts, and cross dowels from The Hillman Group. 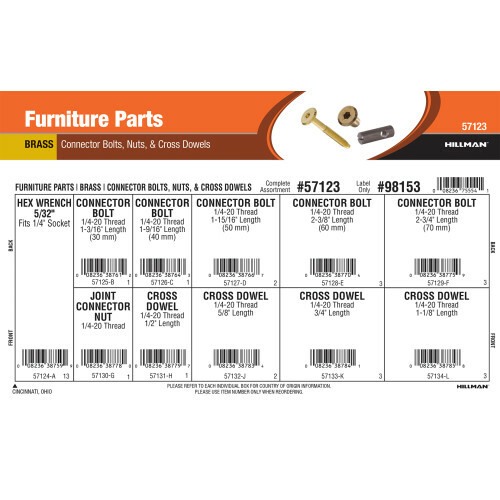 This assortment of parts covers most common furniture assembly and repair applications. Variants included in this assortment feature a 1/4"-20 coarse thread size and range from 1/2" to 2-3/4" in length. Full assortment contains eleven (11) refills comprised of Hillman item numbers #57124 - #57134.